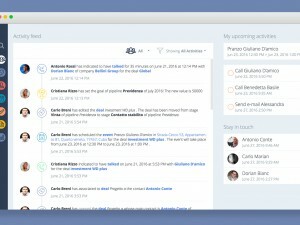 Your most requested feature is here! 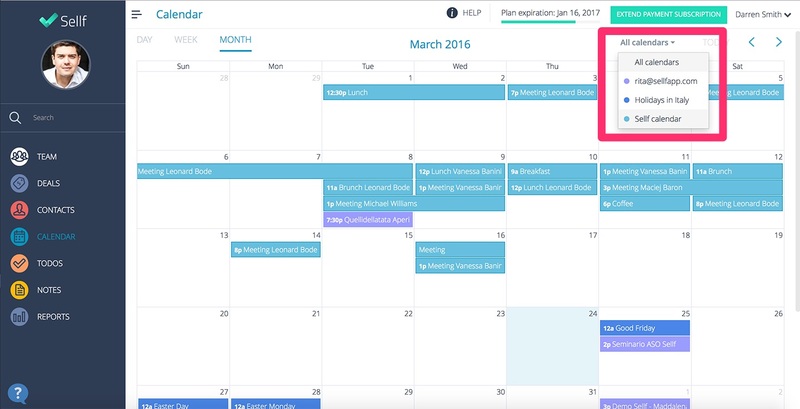 The all-new Calendar Feed on the web gives you the big picture, by syncing all of your events and meetings from Google Calendar. 1. 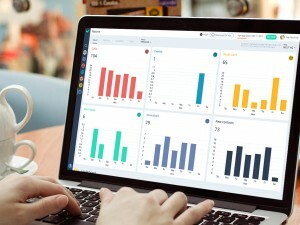 Sign in to Sellf web (www.sellf.io). 2. Click on the Sellf Menu containing your name in the top right corner and then click on Settings. 3. Then click on Integrations. 4. 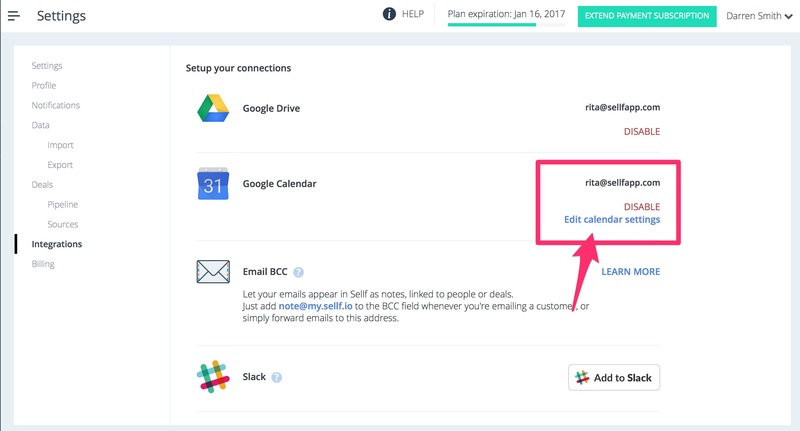 Look for “Google Calendar” within the list of the Integrations and click on “Connect” on the right side. 5. Login to Google, picking an existing account or adding a new one if necessary. 6. 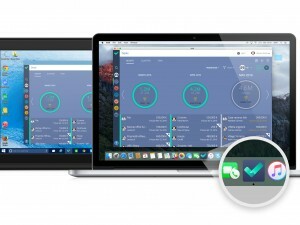 Allow Sellf to connect to your Google Calendars. 7. 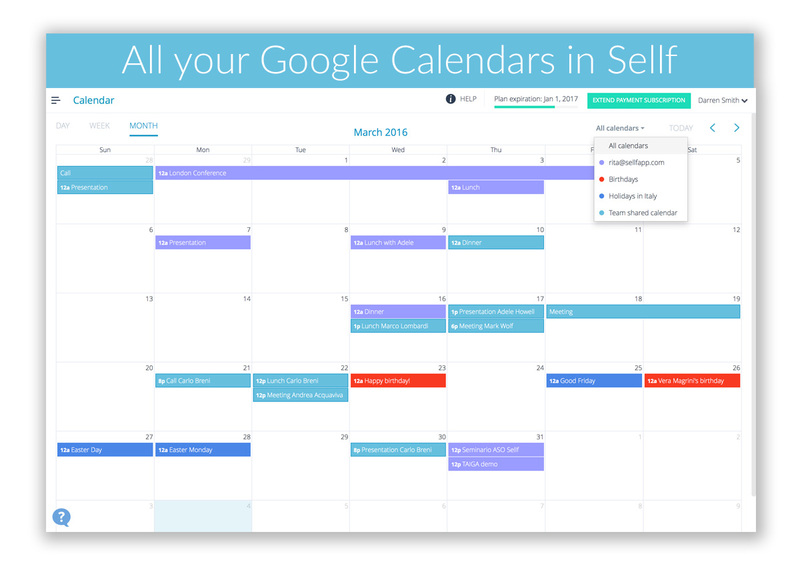 Once you’ve got Google authorized, you have to edit your calendar Settings and choose which calendars you would like to sync with Sellf. Click on “Edit calendar settings”. 8. 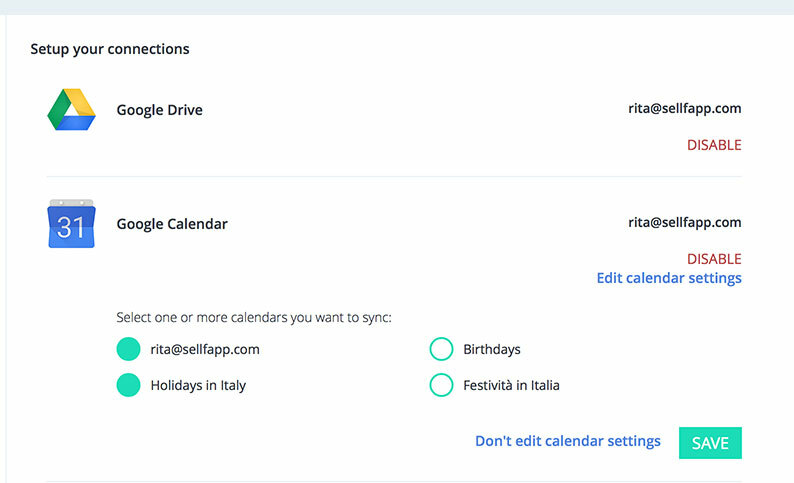 Select the calendars you’d like to sync between Google and Sellf and then click on “Save”. 9. Now in your Calendar in the side menu, you’ll see all your events from all calendars with different colors. You can always choose which calendars you’d like to see in the dropdown menu in the top right. 10. You can always pick an existing event in “Sellf Calendar” or “Team Shared Calendar” (if you’re in team) and move it to one of your Google Calendars. 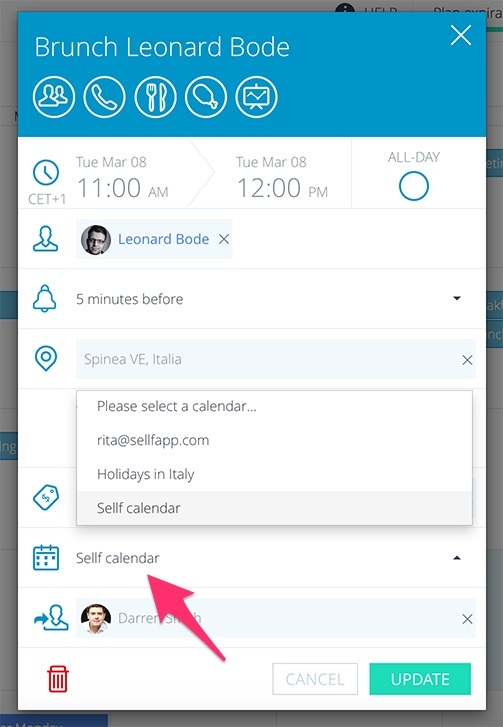 Click on the event and choose another calendar in the dropdown menu and click on “Update”. 11. 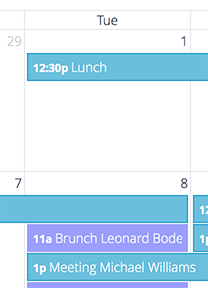 Your event has now the color of your Google calendar. 12. What Happens Next? Your event is now visibile in Google Calendar and synced between Google and Sellf. Excited? Don’t wait any longer, go try it!